You Flipped on Me, Financially!!! 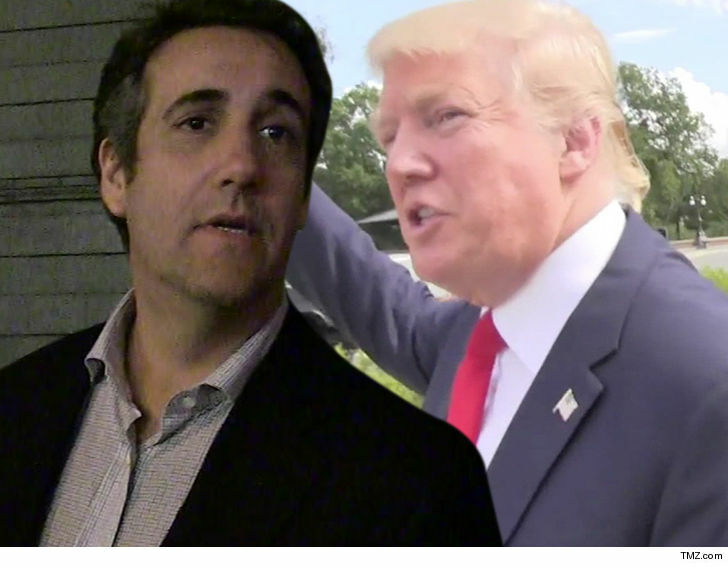 Michael Cohen says Donald Trump left him and high dry the second things got hot, and went back on a promise to cover all of Cohen’s legal fees related to the Mueller investigation. Cohen just filed a lawsuit against the Trump Organization for more than a million bucks — money he says was supposed to be paid to his lawyers. In the suit, Cohen says shortly after he was first subpoenaed, Donald’s co. agreed to cover all of his attorney’s fees. That was in July 2017, and Cohen says all seemed to be going well. In October, his attorneys got a check for $137,460 from the Trump Org. — and that continued until May 2018. He says Trump’s company eventually covered $1.7 million of his legal expenses. According to the suit, the well ran dry that same month … and Cohen says a total of $1,037,868 remains unpaid to his high-powered law firm. Most attorneys frown upon working for free, and Cohen says they indeed pulled out … which hurt his case. Remember, he was sentenced to 3 years in prison for tax fraud and campaign finance violations. He’s suing the Trump Org. for the outstanding legal tab, plus a little something for himself … aka damages. Previous articleBook Review of "Theft of Memory"